ANOTHER SUCCESSFUL MRA SOUTH BUNNY RUN! 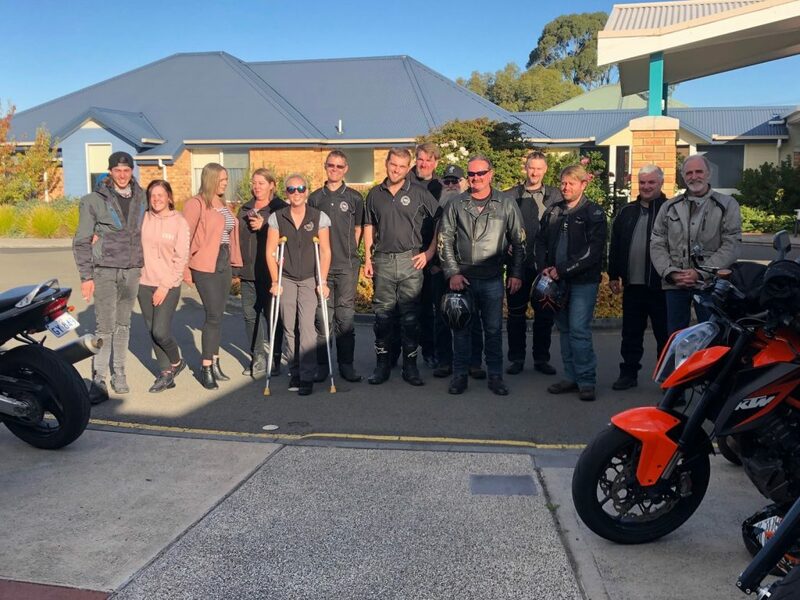 Our riders at the final stop of the day, Ningana Home in Sorell. Thank you to everyone came along and participated in the annual Southern MRA Bunny Run this year, we had a fantastic turn out and some great feedback from the residents and staff at the homes we visited!